I was recently at Metro, a members-only store that sells things for professionals in large quantities with lots of food items. However unlike “members-only” stores elsewhere, you need to have some professional affiliation to join. Excitedly, I stocked up on lots of the things that I use a lot of, including cassonade sugar sold in bags close to 5-pounds, hazelnuts, tin containers for giving away treats from recipe-testing, and I picked up a few cases of wine, just because there happened to be a little extra room in the trunk of the car that needed filling. In the middle of the store is a huge refrigerated section with all kinds of butter and seemingly every kind of dairy product available in France, most in professional-sizes, and I picked up a 6-pack of heavy cream. As in six liters of cream, with a higher-than-normal butterfat content of 35%. At the rate I go through things around here, I was sure I was going to go through all that cream within the next five weeks. But as the expiration date rolled around, there were still five liters of cream in my refrigerator, ready to go south. So I froze it. Yes, you can freeze cream just fine. Many bakers will sometimes find themselves with an extra cup or so, especially if you buy it by the liter or quart. So you can freeze it just by sticking the carton right in the freezer. The liquid inside may expand a bit, so if the containers are absolutely full, you may want to pour a little out first. But most containers I’ve run across have a bit of breathing room in them and I just pop them in there, just like that. To use the cream, take it out and leave it in the refrigerator one or two days before you need it. Larger packages, like a liter or quart, will take longer to defrost than a cup of cream. Before using it, give it a really good shake as the butterfat can settle to the bottom of the container and it may need to be re-emulsified. Then you’re good to go. You can use it for any baking application. 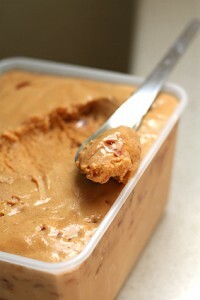 And it can be whipped as well; it may appear a bit grainy at first, but sweetening it will smooth it out. But do make sure you’ve incorporated the butterfat completely, as watered down cream won’t whip. When I was a kid, my mother use to freeze homogenized milk by the 1/2 gallon. We had alot of kids…..Does freezing milk present the same challenges as freezing cream ?? Thanks Dave.. So hard to find a decent cream to whip in France – I use liquid crème fraîche. But next time I am allowed to accompany my friend to Metro I now know what to look out for! Hi David..I really enjoy your blog and your writing style. Hoping you can help with this question..My friend who was in the south of France kindly brought me some lavender oil (she knows I like to bake). 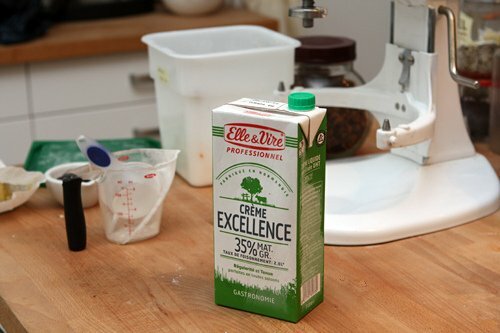 The small glass bottles read “Huile essentielle Biologique – Lavande” Would you know if these are ok for baking? I don’t see anything else on the bottles aside from a certified stamp of some sort. 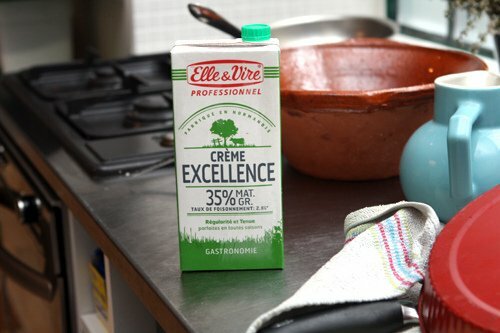 cuisindeprovence: In regards to what OB said, I find that the Elle et Vire crème épaisse (which comes in a pouch) is generally the best cream found in supermarkets for whipping. I wish they would label liquid cream in France with the fat percentage, which they do with all cheeses and crème fraîche. Am not sure why they don’t. ron: I’ve not frozen milk but I think that it can be frozen successfully. If anyone has done it out there, let us know! blanca: If it doesn’t say that it’s for consumation, I would assume that it’s not. I’ve seen pure essential oils labeled “not for consumption” so there must be something in the processing or production that makes them not for using in food applications. You have just answered the age-long question, thank you. Ron, I’ve frozen milk and buttermilk. Just like the cream, if it’s not skim milk, then yes, you need to give it a good shake to make sure the milk fat is mixed in properly. Other than that, the only downside is that for a gallon, it seems like it takes forever to defrost it! I don’t notice that the taste is any different, but honestly I don’t drink a lot of milk. Great tip, thank you! I just have a doubt: if you defrost your cream to make ice cream, won’t you be re-freezing it, with the health hazards involved? I guess it’s OK if your ice cream recipe calls for cooking the cream. US Government food safety guidelines says that if milk has been consistently kept below 40ºF, it’s safe to use. Ice cream generally should not be refrozen because of textural issues. Milk can be successfully frozen, my mum’s beeb doing it for years. METRO. Playground for food fanatics. I like Metro, but it’s a bit of a folly as the prices really aren’t that much less than in regular stores (although if you don’t have the pay the TVA, it’s a much better deal) – however I love the fact that they have things like industrial kitchen equipment and appliances, although a friend was going to get his washing machine there and by the time I calculated delivery costs and taxes, he’d save about €10. Still for things like chocolate in bulk (they have unsweetened chocolate! ), bakery-quality butter, and big sacks of brown sugar (and the wine is a good deal), it’s a pretty fun place to go. Is frozen cream suitable also for ice-cream making? After defrosting, of course..Thanks! Sounds like Restaurant Depot in the States. I love that place. I can roam around in there for hours imaging hours of baking and cooking with all the goodies! I never thought about freezing cream because usually if I have it, I feel like I must use in everything :). Good to know you can. I have been freezing cream for years. My favorite way is to measure it into ice cube trays, freeze and put in plastic bags. A cube or two dropped into a skillet to finish a sauce, coffee or tea, or heat in a skillet take offheat and drop a couple of ounces of bittersweat chocolate in to make a quick ganache for ice cream or baked goods. Fun!! 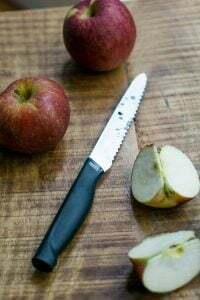 We actually have a group of bloggers that shop together and then split up the goodies; there is very little there that is packaged in proportions that most home cooks/bakers could handle. What struck me most about this post was the concept of member’s only professional affiliation shopping. That’s so Paris. They have a respect for people in the food industry that doesn’t seem to translate here in the US. I’d liken it to stores here that you must have a teaching credential to enter…full of stickers, folders, and all sorts of hidden treasures that young me would have died to see. 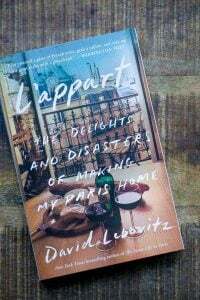 But in Paris, what is more important than a chef and his ingredients? It’s lovely, and I appreciate the attitude there that food is not just fuel; it is an art, a science, a passion. Been freezing both milk and cream for years, as did my mother. For thickening sauces that don’t require a lot of creme, I just scoop some out of the carton with a spoon and toss it in. Works just fine. If you want to whip it, it does have to defrost so you can shake it up, but I’ve been known to nuke it on low to speed this up…again works fine. A little confectioner’s sugar will help in the whipping. Acts to emulsify I guess. just put a partial quart in the freezer after I read your post! merci! always found at Monoprix and occasionally at others such as Franprix has the good good taste of real cream not UHT at 30 percent fat.Indeed limited durability as it is fresh. Whips well freezes well. Would never dream of buying the UHT cream because of its taste. What the British call “double cream” does not exist as crème fleurette, but you can find thick crème fraîche at 42 percent fat. I often freeze British Double cream, Single cream, Whipping cream and Clotted cream. All of these creams have a higher butterfat percentage than American creams and need a good shake upon defrosting. I would miss British cream terribly should I ever emigrate again. My ‘experiments’ in freezing/defrosting and using foodstuffs generally have positive outcomes- I freeze egg whites in ice cube trays then decant them into tubs or pour them into freezer ‘blister’ bags; you can do the same with wine and beer dregs. Frozen egg whites do make my freezer resemble a sperm bank though! (sorry). I also freeze lobster/crayfish/shrimp carcasses for future shellfish stock making. Again, don’t bother defrosting them. Sweetcorn husks are another useful freezer item and not just for tamales. I use them instead of paper for ‘en papillote’ or on the grill. Most cheeses freeze well although I do find that some hard cheeses like artisanal Cheddars tend to not slice so well once defrosted, becoming crumbly. Pariggiano rinds are always stored in the freezer for slinging into soup stock bases or Ragu. They do not need defrosting prior to use. Freezing strawberries is the most futile though- they develop the consistency of slimy, overcooked little molluscs. We have Cash & Carry warehouses in the UK that you have to either be self employed (trade) or of a relevant profession to use. 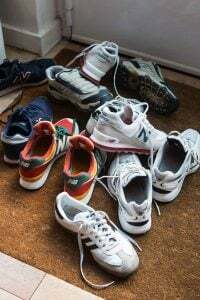 However it isn’t hard to gain discounts in most places selling specific supplies if you are a tradesperson or professional. Irina- That’s a great idea. Saves digging out all those semi thawed strawberry slugs from mixed packs of fruit. I have put frozen blackberries and raspberries into summer cocktails/other drinks instead of ice cubes-prettier. Exactly, I always freeze the cream. Especially when we take advantage of vendor offerings. Mind you, after reading that French obesity rates have doubled in the last fifteen years, maybe they’d better lay off the cream. I was really frustrated trying to whip French heavy cream but I found that adding “Fixe Chantilly” from Vahiné makes it whip up beautifully and then it holds for use in pastry afterwards. BTW, I love Metro too. My friend whose family owns a restaurant in Menton invited me to join her yesterday at the Metro in Ventimiglia. In my excitement I bought a case of beautiful fresh Porcini for just 50 Euro. Oops. I just hope THEY freeze! They actually have some nice produce at Metro, better than at some of the outdoor markets. Last time we were there, they had all sorts of root vegetables and even multi-colored carrots. There were also some interesting tropical fruits and as you found, lots of different kinds of mushrooms. I whipped that cream up in the photo with a whisk and a bowl, I didn’t use my mixer, and it whipped up fine. Some say that the volume isn’t the same as cream that hasn’t been previously frozen, and I didn’t do a side-by-side comparison, so don’t know if that’s true or not. But mine whipped up just fine there..
On the question about the milk: milk freezes just fine. I’ve been raised on frozen milk. LOL Where I come from, milk would come in bags, straight from the farm. It would be somewhat pasteurized, but not really. You either have to boil it once you buy it & come home & drink it within 3 days or freeze it. Otherwise, forget it, you’ll have bad yoghurt. So, just like the cream. The fat will separate, but let it defrost in the fridge, give it a shake & use :) Mind you, I don’t know why when I’ve done it in Canada, once defrosted, it would either curdle or it won’t have as long a fridge life as it otherwise would. Dunno. (I have been looked at strangely by people when I tell them that I freeze milk & that it is ok). I have frozen milk succesfully. We get our milk in pouches of 1/2 and 1 litre here so I just freeze them as they are. You will need to thaw it completely before using, especially if you’re going to boil it, otherwise it will “burn” and stick to the bottom of the pan. Keeping the frozen pouches in a pot of warm water speeds up the thawing. I will have to keep that in mind. Outside of my copious production of ice cream, I don’t go through my heavy cream nearly so quickly. I need to keep in mind that I can freeze it and not need to worry about it so much. Heck, I probably should freeze my milk whenever I’m going to even be away for a weekend. I go through that way less quickly than cream. Great news! I know this won’t help in France but for U.S. folks Trader Joe’s now carries small cartons of shelf stable whipping cream. http://tinyurl.com/9tx82mf I have some in the pantry and waiting for an excuse to test. frozen cream+ sugar = ice cream? i always assumed you could freeze cream. I have found a wonderful local source for high fat cream. Since it comes in half-gallons I have been freezing it in pint containers and defrosting as needed with no problem. The only problem with prepping then freezing ice cream mixes is that without churning, the freezing process produces ice crystals in the mixture. You’d have to take it out intermittently during the freezing and stir it well. This then would render it not so time saving. Is it okay to re-freeze thawed whipping cream? I normally buy a litre packet and use only so much (hardly bake). I assume given the fat content and carton, this applies to buttermilk as well, as some have said. . . I have had some issues in the past with buttermilk being frozen, has anyone else experienced this? Maybe I am not shaking it well enough? It seemed a bit too liquidy to use. . . .
David — you mentioned tin containers for giving away treats from recipe testing. I am always looking for tin containers! Can you site any other sources (I live in the Bay Area). Many thanks! They’re just regular tin foil loaf pans (like these) – if I remember, they’re usually available in supermarkets in America. If you live in the Bay Area, Smart & Final I think has them in bulk. Oh, thanks. I’m looking for metal tins with lids (like the imported tins filled with cookies which one can buy at Williams Sonoma or in Europe). There are abundant supplies of tacky-looking holiday tins available soon, but I’m always hoping for something more elegant! What a great thing to know! We often have a little left over in between trial batches of ice cream. This solves that problem…now I need to know if you can freeze all the leftover egg whites from making custard based ice cream? Karina- I freeze all my leftover egg whites for up to three months with no problems whatsoever. 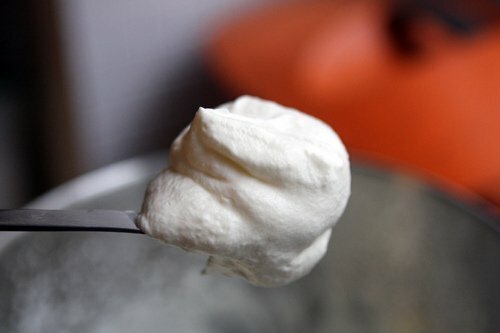 When I worked as a pastry chef locally, we frequently froze egg whites. The sainted Nigella (not a trained chef I know) recommends doing this also. Rhhhaaaa ! Your last picture is a killer ! I want cream right now. On an apple crumble with “caramel au beurre salé”…. In Switzerland, we have ‘Cash & Carry’ shops for professionals (also canteen holders etc) only and I DO envy you for having access to Metro…. Used to freeze cream but now use mostly the lovely fromage frais which seems only to be available in France. When in Switzerland, I use ‘sour milk’ in yogurt-sized containers. I shall even try in the future to NOT fill a whole large freezer but content myself with a smaller freezer compartment of a large fridge. (not the tiny shelf in a fridge of course). Great to know! 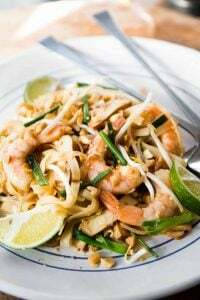 I like to have heavy cream around for enriching sauces, but rarely use a lot of it. Thanks David. Thanks Nic Millar, that’s great to know! I hated throwing them out! Ah, Metro. As we speak my freezer is stuffed with giant bags of pecans, and my cabinet has an industrial sized bottle of vanilla. Metro has a dark side, though. There are aisles full of prepared food, entire meals even that I fear way too many French bistros as snapping up and calling their own. I remember the day when food was fresh and homemade in French bistros. So sad to see that changing. Meanwhile, it never occurred to me to freeze cream, but why not? I have a carton inching toward its end in my fridge right now which I will pop in the freezer toute de suite. Thank you so much. I’ve never found pecans in France that were very good (many are past their prime by the time they get to me) so they are one thing I bring back from the states. They’re quire perishible and don’t last long. Speaking of bistros and pre-prepared and frozen foods, there was a legislative issue proposed last year that restaurants in France would have to disclose when they used frozen & pre-prepared foods on the menus, as a way to preserve French culture/cuisine. But that seems to have disappeared (they do it in Italy) for whatever reason. I would imagine the restaurant lobby somehow killed it? But there are quite a few places serving pre-packaged foods and a busy restaurant near me regularly unloads their truck with pre-prepared foods from Metro (the boxes of soup, etc.) which they charge €6 a bowl for. I had read that cream could be frozen a long time ago, but I had completely forgotten about it. Thanks for the reminder! Good to know! Can you do the same with buttermilk? I’ve heard it can be frozen but separates so I’ve been reluctant to try.. Thank you for always enlightening me! I had no idea this could be done. I wish you could have seen the look of amazement on my face when I read this. Not to be weird but lots of busy Moms freeze breast milk for later, works ok.
Ok maybe that was off for you David! A friend, who hates to shop, buys 5 individual quarts of milk at a time and freezes them. I freeze leftover cream in 1 cup portions in zip lock bags and use it when I make soap. However, I like the idea of freezing some in ice cube trays for use in sauces, etc. Had not thought of that. Brilliant! Though was kind of hoping, halfway through reading, that this post would end with the ways in which you swiftly used up 5 liters of cream. Freezing cream or milk are okay solutions for storage, but they aren’t ideal– for the reasons mentioned in the Joe Pastry link above. As the water molecules expand upon freezing, they pierce and rupture the butterfat globules, which doesn’t necessarily inhibit you from whipping the cream later, but does have other problematic results. For one, the cream will go bad more quickly after defrosting- a damaged butterfat globule is more susceptible to lipase breakdown, causing off, rancid flavors, so if you do freeze it and plan to use it in its fresh form, do so quickly after defrosting. If you’re going to culture the milk or cream to make cheese, creme fraiche, or yogurt, you’ll have wasted good cream– that butterfat damage means the yield will be far less than from unfrozen, unagitated milk or cream (I’ve done fresh cheesemaking demonstrations with frozen vs unfrozen milk where the frozen milk yielded up to 30% more loss) and it will likely have a grainy, unappealing texture. The same rancidity and graininess generally happens when freezing soft and semi-soft cheeses, as well- something that makes me die just a little inside. David: I’ve always wondered why ‘normal’ double or heavy cream isn’t more readily available in France – do they really use creme fraiche in place of it for everything? I would expect France of all countries to have the best cream in the world rather than those ultra-pasterised cartons! I actually am not quite sure why not. I think perhaps refrigeration was historically at a premium so UHT products took over since they could sit on shelves and last for months. (There are a few fresh creams sold in supermarkets, but they’re not particularly wonderful.) Crème fraîche, however, is very easy to come by and sold in every supermarket, perhaps because it lasts long. 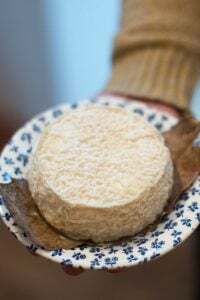 But even fromageries, ones that sell raw-milk cheeses and defend them vigorously, often sell UHT cream and you can’t even get liquid cream from them. However they do sell amazing fromage blanc, crème fraîche, and other fresh dairy products. Thanks for sharing all your professional baking tips. I hate wasting ingredients, so it’s good to know that cream freezes well. Wow, good to know. I feel bad for how much cream I have wasted in the past. But no more, will definitely freeze my extras now. I lived in Anchorage Alaska in the 1970s and we were poor students at the time and had to watch our budget. When we bought milk at the grocery store we chose the frozen milk as the fresh was vastly expensive. Yes they really did sell frozen cartons of milk as a normal stock item in the dairy section. It was very popular, did not taste quite as good as the unfrozen milk but maybe that was just a brand difference. In regards to Ron Shapley’s question about freezing milk, I freeze milk (have 2 boys who like milk) in 2 litre bottles and they work out fine. I once bought some cream at a farmer’s market, brought it home, and put it in the fridge. The fridge in that apartment tended to run cold, though–very cold. When I went to take the cream out, it was frozen solid. I let it defrost, but ended up with a thin watery liquid and a lump of fat. It didn’t occur to me to shake it back together; instead, I just drained off the liquid, added a little salt to the butterfat, and gave it to my dairy-loving roommate. Told her it was fresh, homemade butter. She loved it. Whatever works! Thanks David. What about the milk scenario in France? Do people mostly drink UHT milk? I’m getting raw milk in Ohio and am loving it! I do miss the amazing cream in England though – I think they have some of the best dairy in the world! Irina- that’s a great idea and saves me throwing away the defrosted slug like strawberries from frozen berry mixes (Waitrose sell very good ones).I have popped a frozen raspberry or blackberry into cocktails and summer drinks-looks very pretty. British cream is the best in the World- have conducted extensive ‘research’ into this! I am still confused by “creme fleurette”. Is it just regular heavy cream? I too missed heavy cream and scalded cream in my first years in France, but am now just as addicted to crème fraîche. In fact, with my digestion problems, I find that crème fraîche is healthier as the bacteria have predigested it by breaking down some of the proteins (and fats?). If you find it too sour, you can always shop around for a more subtle flavour. A good fromagery will let you taste first. 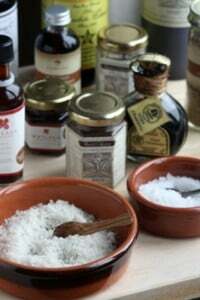 The non-organic supermarket brands usually include gelatine as a thickener which promptly melts when heated, thus limiting the thickening effect in a sauce. As for milk, the French supermarkets do have ‘fresh’ milk, full cream and half-cream, and this is not pasteurised but micro-filtered. Good for me as the lactase enzyme that breaks down the lactose is still active, which renders the milk more easily digestible. There may be an issue with the micro-filtered fat globules tho’. In Roanne, my shopping town, there is a milk dispensing machine with milk from a local dairy farmer. Good to see! You can get 45% heavy cream in France, but in good cheese shops or at the cheese stands of street markets. 30 years ago you still found 45% heavy cream in the supermarkets (it’s sometime in the 90’s that it seems to have disappeared). Another exemple: some 40 years ago, there were two kinds of Carré Gervais, the red one with 60% fat that was yummie and the blue one at 40% that wasn’t so yummie. Now it’s 40% and 0%. I guess that to cater for the weight conscious French people, dairy companies started to produce products with less fat. Here in the Midwest, USA, real cream is nearly impossible to find. All of the stuff at the grocery stores, even Costco, is 17% . I have found a source though, GFS (Gordon Food Service) has real, heavy 36% cream for $3.99 a quart. A Godsend. I’m lactose intolerant, and i found out that if i drop some liquid lactase on my dairy products, they will last 2 weeks longer! I read that milk bacteria process lactose sugar first as a source of energy, so when the milk is ‘lactose-free’ and converted into sucrose/glucose combo, it’s harder (or longer) for the bacteria to digest. Anyways, just wanted to share this cool trick. something else to add to the freezing milk discussion. you can freeze milk, but it’s not a good idea if you plan to use it to make a foam (for a cappuccino, for example). freezing milk damages the proteins (which stabilize the foam) and defrosted milk will not produce a nice dense, even foam. France is the first country I had trouble whipping cream. I thought I was going crazy, but I’m glad it is not just me somehow…. Good to know! Can you also freeze buttermilk? I’m delighted with this post. I live alone and when I need cream for a recipe, I often wind up throwing half of it away. Would also like to know about buttermilk – same problem. Thanks, Daveed – you’ve made my day. Yes, you can freeze buttermilk, too. I really thought you shouldn’t freeze cream. I froze some, then tried to use the thawed to offer a guest cream for her tea. It curdled and looked awful. Was is just that cream? Was it the tea? Input anyone? What? Why didn’t I know this before? All too often I’ve had the odd not-quite-a-cup of cream leftover from baking/ice cream making/what have you. Then I tell myself I’ve consumed quite enough cream for this week, thank you, and it sits until it becomes a hostel for whatever microbes party in my fridge. And for those who just don’t feel like freezing their surplus cream, I can recommend a nice Cream of Broccoli and Cheddar Cheese soup, Cream of Mushroom, or an assortment of other soups and bisques. I buy my milk direct from a local farmer and pasteurize it myself. I recently froze some cream to carry us over during a dry spell. Once thawed, it will break into butterfat at the slightest provocation. You can shake it back together, but if you use it in coffee, you get a layer of butter floating on top, and small white flecks. This is milk from a Jersey cow, so it’s very rich. I think lower butterfat content cream probably is more stable. I made some cream cheese and froze that too. The texture changes slightly, but it’s still usable. The butterfat sinks to the bottom? Fat doesn’t float in France? 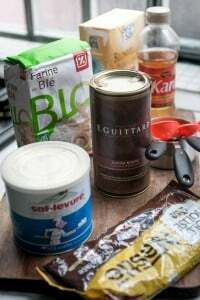 Since the cream is in cardboard boxes (in France), the fat tends to clings to the sides of the box, and the thin liquid rises to the surface and comes out from the container first. So yes, it does often stay at the bottom – and on the sides as well. 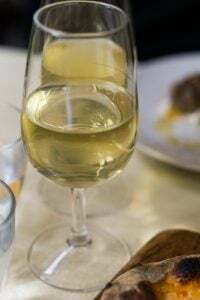 In other instances, when heavy cream comes in plastic bottles, as are sometimes found in France, when the fat separates from the thinner liquid, the fat tends to clump in the middle of the bottle and can’t pass the narrower neck, like the liquid can. So that fat often remains in the bottom as well. However it will vary based on what kind of container is used, which likely depends on which country one is in as well. Since writing for a variety of people in various countries, it’s not really possible to state exactly what type of container(s) people will be using, or go through the various scenarios, but I hope this post gives people a general idea of how to freeze cream. Thanks for the tip. Wish I have read this earlier as I just had a 1L cream expires on me at the early of the month. Been thinking about whether I can freeze it to use for ice cream making later. One question though, if you freeze the cream when it is almost going to expire, how long can you keep it in freezer before you really have to throw it away? How long can we store the ice cream made before it is bad? BTW, about frozen milk, my kids have grown up with frozen breastmilk :-). So I am sure it is safe to do that. Back where you came from, without going to “manufacturer’s cream”, we can get better than 43% from Trader Jo’s, Clover and Berkeley Farms. You have our sympathy for working under stress circumstances. Thanks for the tip on frozen cream. I have always used extra cream that had been already whipped when it went into a freezer… doesn’t keep to long but good for very short term. yes, but can you whip crème fraîche? Just today I made custard with some cream I had previously frozen. I used a recipe for creme brulee, but didn’t plan to brulee it. I just wanted creamy custard without the eggy flavor that whole eggs seem to have. 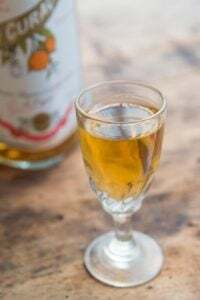 (2 cups cream…steep a vanilla bean in it…then add the cream and 2 cups whole milk slowly to 6 egg yolks and 1/2 cup sugar, which has been thoroughly whisked together. Bake in ramekins in a water bath at 325F until set, but still trembling in the center.) I noticed a bit of a yellow buttery separation when I tasted a few bites from a warm one. Perfect flavor! But after it cooled it had a waxy layer on top. Does anyone know why? Thanks for this post! I recently froze some heavy cream that came straight from the cow. When it defrosted it had definitely separated, so I stirred and shook, but it still seemed a bit grainy. I made the Cinnamon Ice Cream from the Perfect Scoop, and when I heated the milk and cream, there was a yellow film across the top that looked like melted butter. I persevered, and went ahead with the recipe. My end result tastes very good, but has an unpleasant and grainy texture. It seems like perhaps the fat didn’t fully emulsify? Do you advise against making ice cream from already frozen cream, or is there some step I can take to solve this in the future? I’ve done some reading up whether it’s considered “safe” to use previously frozen cream to make ice cream, and haven’t found any conclusive word on that. (I was going to link to a few but they were all PDFs and I couldn’t.) Food safety experts say that if ice cream has melted and reached a certain temperature, it’s best to toss it. So I haven’t heard the definitive word on that. Different creams behave a certain way and I’ve used frozen cream for a variety of things and it’s worked, but there are so many variables I can’t give a definitive answer to your question. I would say if something is grainy – such as an ice cream mixture, run it through the blender, which should smooth it out before churning. I wonder if something about the commercial centrifugal process of separating cream from milk causes some emulsification that increases the stability after frozen. I commented further up on how the “direct-from-the-cow” cream I froze also wants to separate into butter. I have not tried blending it, but I suspect it would pretty much instantly turn into butter if I tried. How long can you keep milk or cream in the freezer before it hits the point of no return? I have been freezing cream for years, but only use it in cooking. I dislike the grainy texture it has when you whip it, and I dislike sugar in whipped cream. Even unwrapped it is grainy and the fat separates out with the slightest application of heat (fat glubules in your coffee anyone?). But this might be a function of New Zealand cream for all I know. It doesn’t have anything in it except cream.